The three partitions of Poland between 1764-1795 led to the destruction of Poland as a sovereign state. Polish Jews became subject to the laws of the partitioning powers, the increasingly antisemitic Russian Empire, Austria-Hungary and the Kingdom of Prussia. World War II saw Poland partitioned between Nazi Germany and the Soviet Union and then the invasion of Russia by Germany. The war resulted in the death of one-fifth of the Polish population, with 90% or about 3 million of Polish Jewry killed. The end of WWII saw an independent Poland becoming communist and a member of the Soviet block. Approximately 200,000 Jewish survivors registered at Central Committee of Polish Jews or CKŻP. of whom 136,000 arrived from the Soviet Union. Most of those remaining left in late 1968 as the result of the Soviet-sponsored "anti-Zionist" campaign. The fall of the Communist regime in 1989 saw a major change for the better and religious institutions revived, largely through the activities of Jewish foundations from the United States. The Jewish revival is characterized by the annual Jewish Culture Festival, new study programmes at Polish high schools and universities, the work of synagogues such as the Nozyk, and the Museum of the History of Polish Jews. Today the Polish Jewish community is estimated to have approximately 20,000 members, though the actual number of Jews, including those who are not actively connected to Judaism or Jewish culture, may be several times larger. 960 A Jewish merchant and slave trader from Spain, Ibrahim Ibn Jaqub (Abraham ben Jakov), travels to Poland and writes the first description of the country and the city of Kraków. Jewish traders are very active in Central Europe. Mieszko I mints coins with Hebrew letters on them, though some attribute the coins to the times of Mieszko the Old. 1264 Polish Prince Boleslaus the Pious issues Statute of Kalisz – The General Charter of Jewish Liberties in Poland, an unprecedented document in medieval history of Europe that allows Jews personal freedom, legal autonomy and separate tribunal for criminal matters as well as safeguards against forced baptism and blood libel. The Charter is ratified again by subsequent Polish Kings: Casimir the Great of Poland in 1334, Casimir IV of Poland in 1453, and Sigismund I the Old of Poland in 1539. 1334 Casimir the Great of Poland ratifies again the General Charter of Jewish Liberties in Poland43 Persecuted in Western Europe, the Jews are invited to Poland by King Casimir the Great. 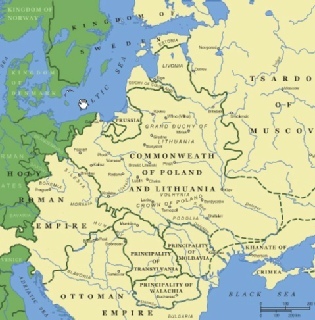 After massive expulsions of Jews from the Western Europe (England, France, Germany, and Spain), they found a refuge in the lands of the Polish–Lithuanian Commonwealth. During the Jagiellon Era Poland became the home to Europe's largest Jewish population, as royal edicts warranting Jewish safety and religious freedom from the 13th century contrasted with bouts of persecution in Western Europe, especially following the Black Death of 1348–1349, blamed by some in the West on Jews themselves. Large parts of Poland suffered relatively little from the outbreak, while the Jewish immigration brought valuable manpower and skills to the rising state. The greatest increase in Jewish numbers occurred in the 18th century, when Jews came to make up 7% of the Polish population. 1453 Casimir IV of Poland ratifies again the General Charter of Jewish Liberties in Poland. 1500 Some of the Jews expelled from Spain, Portugal and many German cities move to Poland. By the mid sixteenth century, some eighty percent of the world’s Jews lives in Poland, a figure that held steady for centuries. 1501 King Alexander of Poland readmits Jews to the Grand Duchy of Lithuania. 1525 The first Jew is promoted to knighthood by king Sigismund I of Poland, without being forced to leave Judaism. 1534 King Sigismund I of Poland abolishes the law that required Jews to wear special clothes. 1539 King Sigismund I of Poland ratifies again the General Charter of Jewish Liberties in Poland. 1540–1620 Immigration of Mizrahi Jews from the Ottoman Empire. 1547 The first Hebrew Jewish printing house is founded in Lublin. 1567 The first yeshiva is founded in Poland. 1580–1764 First session of the Council of Four Lands (Va'ad Arba' Aratzot) in Lublin, Poland. 70 delegates from Jewish communities (kehillot) meet to discuss taxation and other issues important to the Jewish community. 1623 The first time a separate Jewish Diet (Va'ad) for the Grand Duchy of Lithuania is convened. 1632 King Władysław IV Vasa forbids Anti-Semitic books and printings. 1633 Jews of Poznań are granted a privilege of forbidding Christians to enter into their city quarter. 1648 Jewish population of Poland reaches 450,000 or 60% of the whole population. In Bohemia Jews number 40,000 and in Moravia 25,000. The worldwide Jewish population is estimated at 750,000. 1660 Poland described as "Paradisus Iudaeorum". 1750 Jewish population of Poland reaches 750,000 which constitutes around 70% of the Jewish population in the world which is estimated at 1,200,000. 1759 Unprecedented event of the voluntary conversion of around 3,000 of the followers of Jacob Frank who convert to Catholicism and are accepted into the ranks of Polish nobility szlachta with all the social benefits. 1831 November Uprising against Russian. Small Jewish militia units take part in the defence of Warsaw against Russians. 1860-1863 Jews participate in patriotic manifestations in Warsaw. 1863 Small groups of Jews take part in January Uprising January Uprising. 1862 The privileges of some cities in Russia forbidding Jews to settle down in them are denounced. 1880 World Jewish population numbers around 7.7 million, 90% of which in Europe (mostly Eastern Europe), and around 3.5 million in the former Polish provinces. 1897 The first Russian census numbers 5,200,000 Jews plus 4,900,000 in the Pale. The Kingdom of Poland has 1,300,000 Jews or 14% of its population. 1918 Poland regains independence after 123 years. Jews are granted equal rights in independent Poland. 1921 Polish-Soviet peace treaty in Riga. Citizens of both sides are given rights to choose the country. Hundreds of thousands of Jews, especially shopkeepers or other professionals who are forbidden to work in the Soviet Union, settle in Poland. 1924 2,989,000 Jews according to a census by religion in Poland (10,5% of total). Jewish youth constitutes 23% of students of high schools and 26% of university students. 1930 The world Jewry population numbers 15,000,000, of which the largest numbers live in the USA (4,000,000), Poland (3,500,000 = 11% of total), Soviet Union (2,700,000 = 2% of total), Romania (1,000,000 = 6% of total) and Palestine (175,000 = 17% of total). 1933–1939 German Jews attempt to emigrate, but almost all countries close borders for Jews, including United Kingdom and USA. Most Jews find a temporary asylum in Poland. 1939–1945 World War II and the Holocaust (Ha Shoah). Germans in occupied Poland built six major death camps: Auschwitz II (Auschwitz-Birkenau), Chełmno, Belzec, Majdanek, Sobibor, and Treblinka. 1945-1948 Tens of thousands of Holocaust survivors leave Poland for Israel and the United States. 1964 The Second Vatican Council states in Nostra aetate, that the Jews are not responsible for the death of Christ. 1968 Communist regime-sponsored anti-Zionist campaign in Poland. Many Polish Jews emigrate. Mid 1970s-present – Growing revival of Klezmer music (The folk music of European Jews). (, ) and Yiddish culture. 1988 - The first Festival of Jewish Culture in Kraków. In 2012, the nine-day Festival attracts around 40,000 visitors. 1989–present – Reestablishment of several Jewish communities in Poland, most notably in Warsaw, Kraków, Gdańsk and Wrocław. 2006 – Jewish population in Poland is approximately 25,000. (Jewish population) Many Polish Jews are of mixed background (Jewish and Catholic) and discover their Jewish identity later in life. The history of the Jews in Poland dates back over a millennium. For centuries, Poland was home to the largest and most significant Jewish community in the world and was the centre of Jewish culture thanks to a long period of statutory religious tolerance and social autonomy. This ended with the Partitions of Poland which began in 1772, in particular, with the discrimination and persecution of Jews in the Russian Empire. During World War II there was a nearly complete genocidal destruction of the Polish Jewish community by Nazi Germany, during the 1939–1945 German occupation of Poland and the ensuing Holocaust. Since the fall of Communism there has been a Jewish revival in Poland, characterized by the annual Jewish Culture Festival, new study programmes at Polish high schools and universities, the work of synagogues such as the Nozyk, and the Museum of the History of Polish Jews. From the founding of the Kingdom of Poland in 1025 through to the early years of the Polish-Lithuanian Commonwealth created in 1569, Poland was the most tolerant country in Europe. Known as paradisus Iudaeorum (Latin for "Paradise for the Jews"), it became a shelter for persecuted and expelled European Jewish communities and the home to the world's largest Jewish community of the time. According to some sources, about three-quarters of all Jews lived in Poland by the middle of the 16th century. With the weakening of the Commonwealth and growing religious strife (due to the Protestant Reformation and Catholic Counter-Reformation), Poland’s traditional tolerance began to wane from the 17th century onward. After the partitions of Poland in 1795 and the destruction of Poland as a sovereign state, Polish Jews were subject to the laws of the partitioning powers, the increasingly antisemitic Russian Empire, as well as Austro-Hungary and Kingdom of Prussia (later a part of the German Empire). Still, as Poland regained independence in the aftermath of World War I, it was the center of the European Jewish world with one of world's largest Jewish communities of over 3 million. Antisemitism, however, from both the political establishment and from the general population, common throughout Europe, was a growing problem. At the start of World War II, Poland was partitioned between Nazi Germany and the Soviet Union (see Molotov–Ribbentrop Pact). The war resulted in the death of one-fifth of the Polish population, with 90% or about 3 million of Polish Jewry killed along with approximately 3 million Polish non-Jews. Although the Holocaust occurred largely in German-occupied Poland, there was little collaboration with the Nazis by its citizens. Collaboration by individual Poles has been described as smaller than in other occupied countries. Statistics of the Israeli War Crimes Commission indicate that less than 0.1% of Polish gentiles collaborated with the Nazis. Examples of Polish gentile attitudes to German atrocities varied widely, from actively risking death in order to save Jewish lives, and passive refusal to inform on them; to indifference, blackmail, and in extreme cases, participation in pogroms such as the Jedwabne pogrom. Grouped by nationality, Poles represent the largest number of people who rescued Jews during the Holocaust. In the postwar period, many of the approximately 200,000 Jewish survivors registered at Central Committee of Polish Jews or CKŻP (of whom 136,000 arrived from the Soviet Union) left the Communist People's Republic of Poland for the nascent State of Israel and North or South America. Their departure was hastened by the destruction of Jewish institutions, post-war violence and the hostility of the Communist Party to both religion and private enterprise, but also because in 1946–1947 Poland was the only Eastern Bloc country to allow free Jewish aliyah to Israel, without visas or exit permits. Britain demanded Poland to halt the exodus, but their pressure was largely unsuccessful. Most of the remaining Jews left Poland in late 1968 as the result of the Soviet-sponsored "anti-Zionist" campaign. After the fall of the Communist regime in 1989, the situation of Polish Jews became normalized and those who were Polish citizens before World War II were allowed to renew Polish citizenship. Religious institutions were revived, largely through the activities of Jewish foundations from the United States. The contemporary Polish Jewish community is estimated to have approximately 20,000 members, though the actual number of Jews, including those who are not actively connected to Judaism or Jewish culture, may be several times larger. The history of the Jews in Poland spans a thousand years; Jewish merchants first arrived in Poland in the 9th and 10th centuries, travelling along the most important trade routes. The massive influx of Jews to Poland began in the Middle Ages. Jews living in Western Europe were often accused of being responsible for natural disasters or plagues, and were targeted during the Crusades. Due to the Black Death – the greatest crisis of the Middle Ages – and because the Crusades never reached the bulk of the Polish lands, medieval Poland became a refuge for the Jews. The Polish kings encouraged Jewish settlement in Poland, hoping that it would boost economic and trade development. The first local privileges for Jews in Poland were issued in the 13th century, providing them with religious autonomy and making them direct subjects of the king. The Jewish population during this time was mainly involved in trade. Migration meant that many Jews had extensive international contacts, enabling them to bring luxury goods to Poland, including fabrics, weapons, tools and exotic spices. Poland experienced a cultural and economic boom in the 16th century, and the Jewish community entered a ‘Golden Age’. Poland became a major centre of Jewish learning with many important religious books written during this period, many of which are still used today by Jews around the world. One of the most important Polish rabbis during this Golden Age was Rabbi Moses Isserles, also known as the Remu. At the end of the 16th century, the Polish king ordered the creation of a representative body for the Jewish population, the only body of its kind in Europe. It became the equivalent of a Jewish parliament, and Jews were seen as the fifth class in Poland, alongside the nobility, clergy, merchants and peasants. The development of the Jewish community and their success in trade sometimes drew the resentment of the Christian middle class, often resulting in attacks on Jewish merchants and craftsmen. At the end of the 16th century, some Polish cities received the privilege de non tolerandis Judaeis, forbidding Jews to settle in the city. The cultural and economic development of the Jewish community continued despite these problems until the middle of the 17th century, when Poland was ravaged by wars. About 20,000 Jews were killed during the Chmielnicki Uprising of 1648 (called by Jewish chroniclers The Calamity of 1648) and Jews were accused of collaborating with the Swedes during the so-called Swedish Deluge of 1655 and were persecuted. In response to these changes, several new religious and mystical movements within Judaism developed in Poland. The most important of these was Hasidism, which was established in the 18th century by Israel ben Eliezer. Today, Hasidism remains an important movement within Judaism. Hasidism teaches that man can serve God through his everyday activities and through his constant desire to do good deeds. Additionally, an individual can commune with God through singing, dancing and personal prayer. Poland was greatly weakened by the wars in the 17th century and the instability resulted in the three partitions of Poland, divided between Russia, Prussia and Austria. 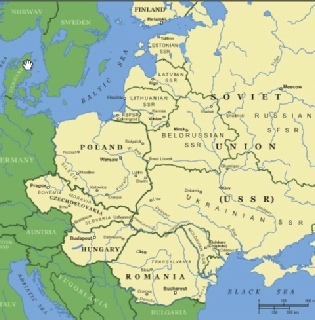 Poland disappeared from the map of Europe for 123 years. The majority of Polish Jews became subjects of Russia or Austria as a result of the partitions. The Jewish enlightenment movement known as Haskalah reached the Polish lands in the 19th century. Haskalah promoted greater Jewish integration in society, improving secular Jewish education and the revival of the Hebrew language. Poland regained its independence at the end of World War I, in 1918, after 123 years of partition. Out of its population of 35 million, Jews constituted nearly 10%. The major Jewish population centres were in big cities such as Warsaw and Kraków. The majority, however, lived in shtetls – small towns and villages where they were a dominant minority or the majority of the population. Polish Jews were an integral part of society in interwar Poland and were represented in almost all walks of life. There were Jewish industrialists, officials, doctors and members of the intelligentsia as well as shopkeepers, tradesmen and labourers. The great internal variation among the Jewish population was also reflected in the wide range of Jewish political parties and organizations that operated in Poland during the interwar years. Zionist parties played an especially important role. The Zionist movement, which was founded in the 19th century by Theodor Herzl, advocated the establishment of a Jewish state in Palestine. Other major political parties included the Orthodox religious party and the left-wing Bund, a socialist party that also promoted Jewish life in Poland and Yiddish culture and was strongly anti-Zionist. There were also Jewish members of the illegal Polish Communist Party. Throughout Poland, Jews sat on city councils and were members of the Polish parliament. Interwar Poland also saw the flourishing of Jewish cultural life. This scene was multilingual, with literature, Jewish theatre and films being produced in three languages – Polish, Yiddish and Hebrew. About 160 Jewish newspapers operated during this period in Poland. The 1930’s were marked by major economic crises throughout the world. Deteriorating living conditions led to an increase in antisemitism in Poland, as throughout Europe. Poland was rocked by a wave of attacks on Jews and the Polish government officially supported economic policies aimed at hurting Jewish businessmen, including a boycott of Jewish businesses and shops. Some schools and universities segregated Jewish students and placed admission quotas for Jewish students. The situation worsened following the death of Marshal Józef Piłsudski in 1935. As the leader of Poland, Piłsudski had opposed the spread of antisemitic propaganda and was an advocate for Jewish equality. After Piłsudski’s death, the ideas of the antisemitic National Democratic Party became increasingly popular. Despite these problems, however, 3.5 million Jews called Poland home in 1939. They constituted the largest Jewish community in Europe and the second largest in the world after the United States. The outbreak of the Second World War and the Holocaust put an end to over a thousand years of Jewish presence in Poland. After occupying Poland in 1939, Nazi Germany implemented a programme of persecution of the Jews, which in 1942 became a full-scale genocide. The Germans murdered about 3.2 million Polish Jews in ghettos, concentration camps and death camps. Jews died of starvation, disease and overwork, and were murdered in mass executions and in gas chambers. Less than 10% of Poland’s prewar Jewish community survived the war. Many fled or were deported to the Soviet Union, others survived on false papers or were hidden by Poles. Very few survived the camps. It is estimated that just after the war, there were about 180,000-240,000 Jews in Poland. Holocaust survivors rarely returned to their former homes. Most chose to emigrate. After the war, Poland fell under the Soviet sphere of influence. Many Jews left Poland to help build the newly created State of Israel. In 1968, Poland, together with other members of the Soviet Bloc, broke off diplomatic relations with Israel following Israel’s victory over the Soviet-backed Arab countries in the 1967 Six Day War. The Polish Communist government perpetrated an anti-Zionist campaign resulting in approximately 20,000 Jewish citizens being forced to leave the country. The situation for the remaining Polish Jews changed greatly after the fall of Communism in 1989. The Jewish communities, which had been totally dissolved by the Communist authorities, reformed and regained their independence. Jewish culture and history also became a major topic of interest in Polish society after 1989. Today, there are many academic and cultural centres for Jewish studies operating in Poland and there are a number of festivals of Jewish culture that take place each year. Immigration of Jewish settlers to Poland, which began in the first half of the thirteenth century, led to the establishment of settlements in the western part of its territory. Within the borders of the Great Duchy of Lithuania this immi­gration began only some 140 years later. Earlier, merchants--mostly from Babylon, Persia, and the Caucasus--[had] crossed through the Slavic lands of Eastern Europe in search of markets in the West, and there were incidents of Jewish merchants, such as these who remained for a certain period (a few months or even years) engaging in incidental busi­ness or enterprises, such as the minting of coins at the request of local authorities (tenth and twelfth cen­turies) or in connection with trade in amber or valu­able furs. The Jewish merchants also handled slaves, assigned to them by their Slavic masters for care and transfer to the lands of the Islamic 'Abbasid empire. This temporary presence of individual Jews or small Jewish groups in Polish lands in the tenth through twelfth centuries did not result in a perma­nent Jewish settlement there.But, in contrast to the political and economic situation of the earlier cen­turies, during the 1240’s conditions developed which were conducive to a permanent Jewish settlement. During this period, the Polish rulers endeavored to rehabilitate their ruined lands by attracting immigrants from neighboring Germany to settle in the unoccupied territories of the land. The princes and rulers of the land between the Oder River to the West and between the lands along the tributary streams of the Vistula River and its sources, the Bug and the San in the East, who strove to establish settle­ments in these areas, also looked favorably upon Jew­ish immigration from Germany to both old and new cities. Many of the Ashkenazic Jews, who had been persecuted by the crusaders and by burghers who viewed them as undesirable rivals, found their way mainly to western Poland. With time, this movement of Jewish immigrants from Germany gave rise to a permanent Jewish settlement. This mi­gration from Germany, Bohemia, Austria, Italy, and Seljuk (and later Ottoman) Turkey aided the growth of Jewish settlement in Poland and Lithuania. Increasing sources of income, together with natural demographic development, also brought about a rise in Jewish population and Jewish communities in the Kingdom of Poland and the Grand Duchy of Lithuania, which, in the mid-fourteenth century, became united under one king. The Jews of Poland learned from experience. After a few years in their new settlements they orga­nized themselves into communities to serve as a base. They also tried to obtain from the local authority a charter of privileges and rights. In 1264 Boleslaw the Pious, ruler of western Poland, granted this privilege. In an expanded form (beginning in 1453) this charter served the Jewish commu­nity of the entire kingdom of Poland and the Grand Duchy of Lithuania until the second half of the eigh­teenth century. The terms of this political privilege, now estab­lished in the form of a written charter, granted the Jews the right to engage in commerce (including money lending and financial transactions), trades and independent professions. It defended their personal and property rights and granted them communal autonomy (essentially the conduct of their in­ternal affairs in accord with Jewish law and tradition) and also granted all Jews equality before the royal courts. The charter also required obligatory submission by members of the Jews' communities to their chosen leaders. Freedom of movement within the territories of the kingdom was also assured. The expanded ver­sion of this privilege (1453) was among the best the Jews ever obtained from authorities in the medieval and early modern periods, whether in Europe or any­where else. This explains the establish­ment, from the fourteenth to the sixteenth cen­turies of more than 150 new Jewish communities in Polish territory. These included the eastern regions which had been added to Poland. This privilege granted to the Jews also provided severe punishment for kidnapping and forced bap­tism of Jewish children, and for bringing false charges of ritual murder and host desecration. These protections and the general rights granted to Jews aroused the wrath of church authorities, and the papal legate convened a synod in Breslau (1267) which sought to bring about strict separation be­tween Polish Christians and Jews. They also strove to reimpose rules requiring them to wear special Jewish headgear and the infa­mous badge and other prohibitions such as holding public offices or using the services of Christian wet­-nurses. In reality, resolutions such as these had little practical effect upon the status of the Jews. During this time, the Church in Poland had not become firmly established and strongly opposed any social or personal relations between the local populace and the Jews, who on arrival in Poland, had set up small workshops and businesses. In these, they employed local Slavic slaves who helped them develop their enterprises. The Jews were mostly single men, from Jewish centers in western and southern Europe, who in the normal course of affairs desired to found families. By Jewish law they were required to free their slaves after seven years. Often, the his female slave continued working with him and he pro­posed that she stay as his wife and un­dertake the management of the household as an equal partner on condition she converts to Ju­daism. This could also explain the Slavic cast which often manifests itself on the faces of Jews from this region. That practice also aroused the anger of the church authorities. In the kingdom of Poland, Casimir III confirmed (1334) the privilege[s] granted to the Jews. Yet, there were attempts to restrict certain economic activities, particularly with regard to financial businesses, in­cluding also pawn brokerage and land mortgaging. When the Black Death ravaged much of Europe in 1348, Jews in both Poland and Germany were ac­cused of poisoning the wells, and those in at least some of the cities were slaughtered. It currently functions as a cultural and educational center with a rich cultural program, including temporary exhibitions, films, debates, workshops, performances, concerts, lectures and much more. The Core Exhibition, presenting the thousand-year history of Polish Jews, has been opened on October 28, 2014. Occupying around 4 000 sq m (ca. 43 000 sq ft), the Museum’s Core Exhibition will immerse visitors in the world of Polish Jews, from their arrival in Poland as travelling merchants in medieval times until today. The exhibition was developed by an international team of more than 120 scholars, working under the direction of Professor Barbara Kirshenblatt-Gimblett from New York University. It is being produced by the Association of the Jewish Historical Institute of Poland thanks to the support of donors from all over the world. Each of the eight galleries will present a different chapter of the story of Polish Jews, enabling visitors to come into intimate contact with those who lived that story through images, artifacts, first-person accounts and interactive multimedia. See also synagogues for their wonderful achievement in recreating Polish synagogues destroyed by the Nazis. The Galicia Jewish Museum exists to commemorate the victims of the Holocaust and celebrate the Jewish culture of Polish Galicia, presenting Jewish history from a new perspective. An innovative and unique institution located in Kazimierz, the Jewish district of Kraków, Poland, the Museum is a registered charity in Poland. The objectives of the Museum are to challenge the stereotypes and misconceptions typically associated with the Jewish past in Poland and to educate both Poles and Jews about their own histories, whilst encouraging them to think about the future. Home to the internationally acclaimed permanent photographic exhibitions, ‘Traces of Memory’ and ‘An Unfinished Memory’, the Museum also shows an exciting range of temporary exhibitions, both curated in-house and sourced from around the world. The Cultural and Education Programme is one of the most extensive in Poland, providing a range of services for both individual and group visitors, and the Media Resource Centre houses a growing archive of films on Jewish and Holocaust-related subjects. As well as engaging in primary research and publishing, there is one of the largest Jewish bookshops in Poland. The Museum café serves a range of hot and cold drinks and snacks and catering options for visiting groups.